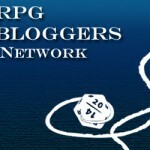 Posted on June 28, 2013, in Convention Gaming, RetCon, RPG, Savage Worlds and tagged GM Tips, RetConGameCon, Role Playing Game, Roleplaying Games, tabletop RPG. Bookmark the permalink. 2 Comments. I think it depends on what you’re goals are for a One-Shot adventure. If it’s just to pass time or a stop gap between campaigns I have no problem letting players make PCs for an adventure. If the goal is to introduce the players to the rules system or campaign setting I think it’s more than appropriate to churn out a few pregens. As stated it allows you to build a rounded party with all the tools necessary to complete the adventure and showcases all the different aspects of the system. I think pregen one-shots are a great way to pitch a new campaign to players and can be used to showcase some of the lore and back story of a campaign in a better way than just a paragraph of text. Indeed, the goals of the one shot make all the difference in whether or not to use pregens. Excellent point!